Share your experiences and WIN BIG! Your big Icelandic adventure is here and you are bursting at the seams with excitement for all of the things you are going to see and do while you are here. You are all booked for some amazing day tours to the Golden Circle or the South Coast or maybe even the Snaefellsnes Peninsula! Maybe you have plans to go horseback riding through the lava fields around the greater Reykjavik area? Or delve deep into the frozen core of a glacier on an Ice Cave tour? Everything is perfect and you are going to have the time of your life. Maybe this time around there is someone special that just couldn't make it. Someone for whom you you can't stop thinking "Wish you were here" as you travel around Iceland. 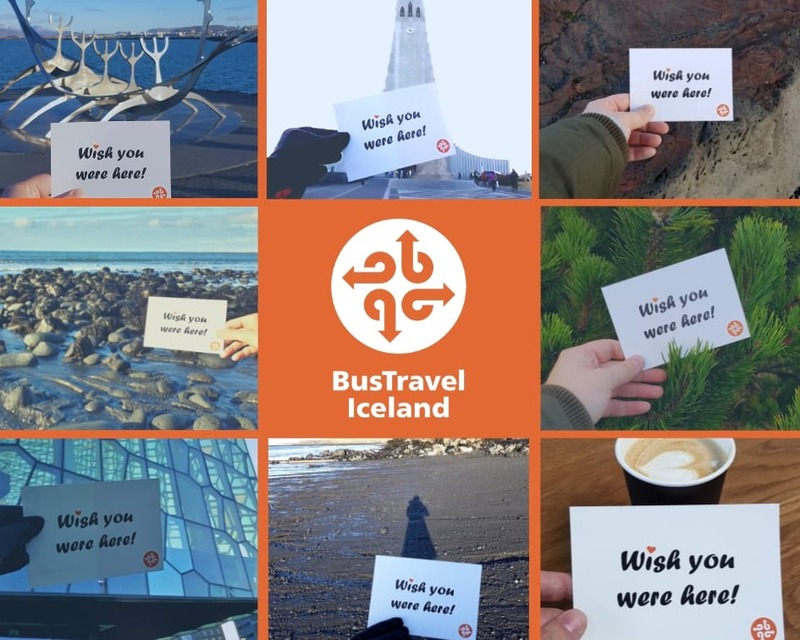 Don't worry, here at BusTravel Iceland we understand the importnce of spending quality time with those who are most important to us so we have your back. The BusTravel Iceland winter competition! WIN $1000 in the form of a gift voucher, valid for up to three years from the date of issue that you can use on our website to book any of our tours! 1.) Be in Iceland! Whether you live here or are just passing through. Plan to travel with us or not (no hard feelings) we want to see Iceland through your eyes. Only one entry will be accepted per person. Multiple entries are disqualified. BusTravel Iceland reserves the right to cancel or amend the competition at any time. Prize does not include: flights, accommodation, and meals. Prize is not cash but gift voucher with a worth of $1,000 valid up to 3 years from date of selection by BTI. No change will be given and voucher has no monetary value outside of use on our website. All photo entries give the rights for BusTravel Iceland to share and reuse on social media. Any questions or further competition details, please contact us at info@bustravel.is. Only entries that follow the competition directions will be considered.